With this handy OCGIG Gear Lock socket wrench set, you are perfectly equipped for any job. The set of keys fits perfectly and replaces many conventional screwdrivers. 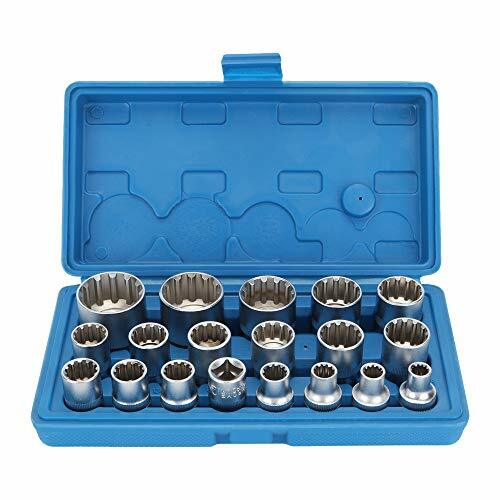 This set of 19 pieces is made of high quality hardened steel and allows to work with precision. The complete set is stored in a functional way (in a stable box) - so you always have the right tip size at your fingertips. Perfect for DIYers and pros. Organized Storage: set includes a sturdy plastic organizing case for secure storage and easy carrying. If you have any questions about this product by OCGIG, contact us by completing and submitting the form below. If you are looking for a specif part number, please include it with your message.